What do GP's and others really think of community pharmacy? Authors Hindi AMK, Schafheutle EI and Jacobs S were involved in the publication of a qualitative study recently with the following title: Community pharmacy integration within the primary care pathway for people with long-term conditions: a focus group study of patients’, pharmacists’ and GPs’ experiences and expectations. Link to paper: here. Link to Policy piece: here. In this podcast, I ask one of the authors, Ali Hindi, a number of questions about what the study has told us about how community pharmacy is perceived. The conversation was very interesting and revolved around the following areas: Access to patient records. Community pharmacists possibly being their own worst enemy in terms of having the confidence to take on new roles. The pressure community pharmacies find themselves under to deliver the NHS contract. Insights into how GPs feel about community pharmacy. Why the choice to focus on long-term conditions. Thanks to PhD student Ali Hindi for taking the time to have a chat. This week in Nottingham the British Pharmaceutical Students' Association are holding their annual conference. The theme this year is global pharmacy. Tonight we were joined by Andrew Moy (Northern Area Co-ordinator), Rhys Llewellyn (Western Area Co-ordinator) and Kweku Bimpong (Publications Officer). to give us an update on day one of the conference. We will be podcasting from the conference throughout the week. About the annual conference 2019 The Annual Conference is the flagship event of the BPSA and is hosted at a different School of Pharmacy every year. There are always a host of interesting speakers from all different areas of the profession, giving you the opportunity to hear about career paths that you may not have considered before. Moreover, the conference is a great place to meet like-minded passionate students, all keen to make a difference to the profession. Global Pharmacy The theme of the Annual Conference this year is Global Pharmacy. Millions of lives are lost to preventable diseases. Pharmacists are the medicines experts and are well-equipped to achieve Global Goal 3 from WHO - “Good health and well-being”. During the Annual Conference, you will learn about the roles of pharmacists worldwide, how pharmacy and the pharmaceutical industry can improve the health of the underserved populations, develop knowledge about global health issues and reflect on the roles of pharmacists in improving global health. A recent study led by pharmacy technicians in Australia saved thousands of dollars by preventing waste of medicines. The pharmacy technicians achieved this by deploying ward-based educational sessions to the multidisciplinary team. The findings highlighted the importance of pharmacy technicians and provided evidence for an advanced scope pharmacy technician ward role to reduce pharmaceutical wastage. In this podcast we were lucky enough to talk directly to two of the authors Julia Tisdall and Michelle Edmonds in Australia. New and emerging roles for pharmacy technicians in the UK are a hot topic at the moment so I wanted to broaden my horizons and get an Australian perspective of pharmacy technician practice. There are some fascinating differences but also lots we can all learn from each other even this far away geographically. Due to a shortage of emergency department doctors and nurses, hospitals have started to employ pharmacists who have additional clinical skills, known as Emergency Department Pharmacist Practitioners, to help deliver services. A recently published study sought to describe, compare and define the Emergency Department Pharmacist Practitioner role. Setting UK emergency departments. The study concluded that Emergency Department Pharmacist Practitioners combine traditional clinical pharmacy activities with more hands-on medical practise including being designated care provider. The role is versatile in that care and support provided to patients and the wider emergency department professional team is varied and therefore somewhat adaptable to situations which present. One of the authors and PhD student Daniel Greenwood was good enough to take some time to have a chat about the findings. You can read the full study here. There is little doubt that the profession of pharmacy in Scotland is thriving. We were extremely proud to share some time catching up with Rose-Marie Parr, the Chief Pharmaceutical Officer for Scotland. We had a great conversation about progress towards the ambition of 'Achieving Excellence in Pharmaceutical care'. We discussed the myriad of opportunities emerging for pharmacists in Scotland but also addressed some of the challenges and concerns. It was a very positive and most enjoyable chat. It was all the better for completely avoiding any talk of Brexit. Emma Davies joined me on the podcast this week. We talked in depth about bullying in pharmacy, leadership and tried to avoid talking about Brexit. Emma is an advanced Pharmacist Practitioner and has worked in pain management for around 12 years. She developed her interest in supported self-management whilst working in the Southampton Pain Service. Currently working in South Wales, Emma provides pain management clinics in primary care, working with GPs, pharmacists and the primary care teams. Emma also teaches at an undergraduate and postgraduate level, develops guidelines and educational materials and provides advice to the Welsh Government on pain management. Emma is currently studying for a PhD, examining trends in opioid prescribing and healthcare resource utilisation in Wales. In addition, she was recently appointed Chair of the Primary Care Pharmacy Association Pain Group. Emma is also on the Executive Committee of the Chronic Pain Policy Coalition – an all-party group which lobbies Westminster to improve the lives of people living with pain. Dr Lawrence 'LB' Brown - What is pharmacy like in America? FAPhA. Dr. Lawrence “LB” Brown is Associate Dean of Student and Academic Affairs and a Full Professor in the school of pharmacy, where he will be responsible for admissions, curriculum, and progression of students. Prior to joining the School of Pharmacy’s Administrative team, he was an Associate Professor of Health Outcomes and Policy Research at the University of Tennessee College of Pharmacy in Memphis. There he served in various roles, including Vice-Chair of the Department of Pharmaceutical Sciences, Chair of the Health Outcomes and Policy Research Division, Director of Graduate Studies in Health Outcomes and Policy Research, and Director of the UT Center for Medication Therapy Management Center. He also served as the UT Health Science Center Faculty Senate President. He earned his PharmD degree at the University of the Pacific in 1999, and his PhD in Social and Administrative Pharmacy at the University of Minnesota in 2003. He is a fellow, a former trustee, and former Speaker of the House of the American Pharmacists Association. He is currently elected to serve as President of the American Pharmacists Association in 2015. Dr Brown was selected the Pharmacy Student of the Year in 1999, by the California Pharmacists Association, a “Men of Excellence” awardee in 2010, by the Tri-State Defender, and a “Medallion of the Association” awardee in 2001, by the Hungarian Private Pharmacists Association. Dr Brown’s career in pharmacy began as a U.S. Air Force pharmacy technician in 1985. After the Air Force, he worked in the Pharmacy Operations department as a pharmacy computer systems trainer and help desk tech for Kaiser Permanente Northern California. Since becoming a pharmacist, he has dedicated his career to the expansion of pharmacists’ roles within the health care system that improve patient health, and the improvement of patient’s perception of pharmacists. Dr Brown is an International Expert in the area of Medication Therapy Management (MTM). In addition to his work promoting the value of pharmacists provided MTM services throughout the United States, he has travelled to South Africa, the Philippines, Sweden, and Hungary to help pharmacists in those countries become better prepared to provide MTM services to their citizens. He has given over 30 invited presentations internationally and over 70 throughout the United States. He was kind enough to take some time out to speak to us about his excellent career achievements and also a little about pharmacy in America. He is due to speak at the Pharmacist Defence Association conference on March 31st and good enough to give us a preview of his presentation. Dr Cathrine Edgeworth is a consultant clinical pharmacist with over 25 years NHS experience. She now runs her own aesthetics business. She is also heavily involved in the charity that supports chronic regional pain syndrome (CRPS). We talked about the merits of being a consultant pharmacist and all things aesthetics. Podcast: Mark Pitt - What is the point of the Pharmacist Defence Association Union? We were extremely lucky to be joined by Mark Pitt the Director of Defence Services, PDA union. Mark spent 20 years working in community pharmacy progressing through various store/area management roles to a senior head office position for one of the pharmacy multiples. Mark joined the PDA union shortly after it was formed and also sits as a lay member for the Employment Tribunal Service. We talked about what exactly the purpose of a union like the PDA union and then went on to discuss the relevant topics of the day, not least the current Boots ballot. I had the pleasure of chatting to Superintendent pharmacist Philip Galt. Philip is managing Director of Lindsay and Gilmour community pharmacy chain and is also heavily involved in supporting the wider profession on a number of fronts. We chatted about the opportunities and challenges for Scottish community pharmacy. We also discussed the now stark difference between community pharmacy in England and Scotland. We failed miserably to avoid talking about clinical pharmacists and Brexit. 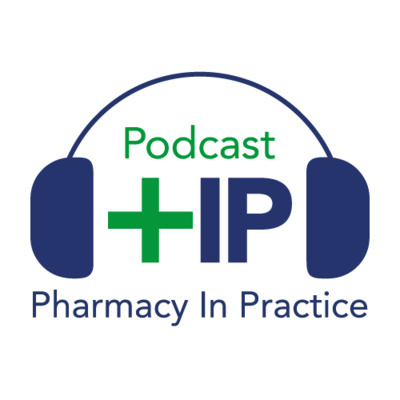 If you are interested to understand some of the positive developments in Scottish community pharmacy then this podcast is certainly for you. Podcast: What is it like to be a pre-registration pharmacist in Scotland? Josh Miller is a pre-registration pharmacist completing his training in Scotland. He was kind enough to have a blether about all things pharmacy. We covered life as a pre-reg, the new five-year university course and the views that Josh and his peers have about the profession. Always fun to catch up with Josh. In a staggering act of bravery, pharmacy manager Amanda Smith and dispenser Denise Briscoe remained in the pharmacy which allowed staff members to flee the scene making sure no-one got hurt. They also waited with the attacker while he stole a small amount of cash and also some prescription drugs. 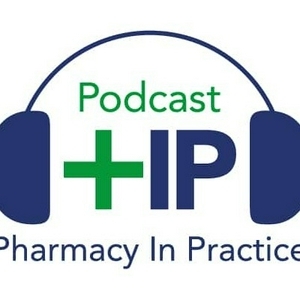 Pharmacy manager Amanda Smith joined us on the podcast to tell us more about it. This week we had great fun speaking to The Hospital MPharm. The Hospital MPharm has a very interesting Facebook page on which she welcomes contributors to share experiences from their working day in hospital pharmacy. We talked all things hospital pharmacy, bullying and we sorted out what exactly a non-clinical snowflake pharmacist is. Find her Facebook page here. A new report commissioned by Community Pharmacy Scotland (CPS) demonstrates the popularity of the Minor Ailment Service (MAS) among patients, with close to 90% of participants rating the overall service 10 out of 10 for satisfaction and the overwhelming majority rating their experience of consultations as ‘Excellent’. Podcast: What is it like to be a locum pharmacist in Scotland? William Johnson is a community pharmacist locum working in Scotland. He was kind enough to take some time out to chat to us about the issues facing locum community pharmacists in Scotland. The College of Mental Health Pharmacy (CMHP) and Pharmacy in Practice have announced a partnership with the core aim of promoting the role of pharmacists in the care of patients suffering from mental health issues. The CMHP is a charity dedicated to advancing education in the practice of mental health pharmacy. They promote and disseminate research for the public benefit, in all aspects of the subject. The CMHP is a membership organisation. Although most of their members are pharmacists and pharmacy technicians, anyone with interest in mental health and medicines can become a member. The CMHP aims to ensure that people with mental health conditions receive the best medication for their individual needs. They want to help them to live as fulfilling lives as possible. Pharmaceutical care for people with mental health problems is improved by providing pharmacy team members with high-quality education and support about mental health conditions and their management. The partnership with Pharmacy in Practice will support these aims by delivering regular content for pharmacists across the UK on the pertinent issues of the day in mental health pharmacy. The team at Knights Pharmacy won an award recently for their work raising awareness of pancreatic cancer. Today we chatted about how community pharmacy is central to this important work.